"2nd Peter 3:3-4, �Knowing this first, that there shall come in the last days scoffers, walking after their own lusts, And saying, Where is the promise of his coming? for since the fathers fell asleep, all things continue as they were from the beginning of the creation.�"
"Help me Lord to whole heartedly SEEK YOU!!" "I cannot understand how anyone could use an other version..."
"Amen :) pray for America 2 Chronicles 7:14"
"I'm so blessed just to know my lord Jesus Christ as my savior forever !" "><> ><> ><> <3 <3 <3 <3 <3 Alleluyah Amen"
"Amen, how vital it is for us to be �seeking� believers! Matt 7:7-8 Ask, and it shall be given you; seek, and ye shall find; knock, and it shall be opened unto you: For every one that asketh receiveth; and he that seeketh findeth; and to him that knocketh it shall be opened. Deut 4:29 But if from there you shall seek the LORD your God, you shall find him, if you seek him with all your heart and with all your soul. KJV :)"
"Lord I seek you with my whole heart!" "Amen , I thank God for a recent change in my life , thank you Jesus"
"Amen...thanks my dear Bro for tag.God bless us Always"
"Deut 6:5 And thou shalt love the LORD thy God with all thine heart, and with all thy soul, and with all thy might. KJV"
"Hallelujah glory to the Lord"
"I Love testimonies of a great God we serve"
"I read my pray Book and Bible ever Day . I try not 2 miss not one Day and most of the time I don't. It just make me feel so good about mysafe and I know at makes God happy. 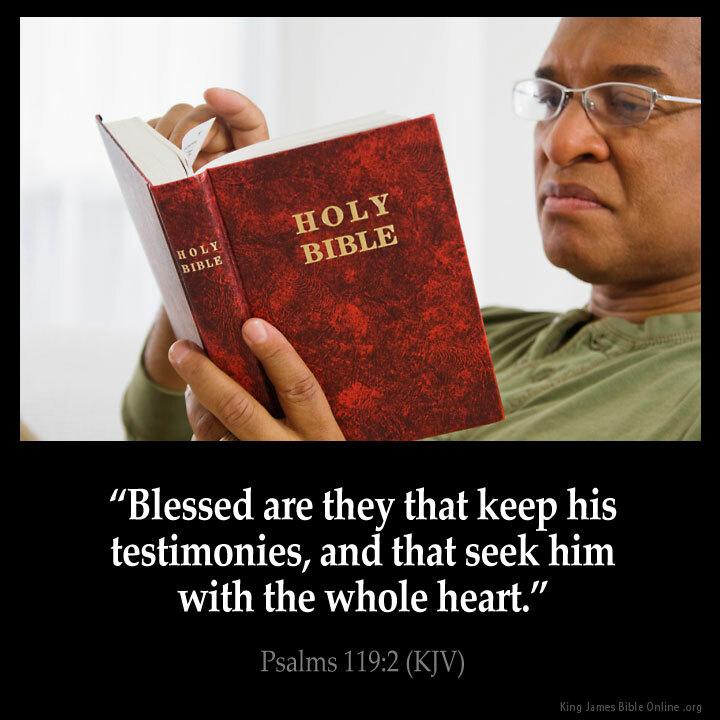 sherry busby"
"My favorite psalm is 119"
"Obama is trying to take our lives over, please read your Bible and pray, pray, pray and "SEEK Him with the whole heart."" "Praise God from whom All Blessings Flow..."things have happened, and my people still have not returned to Me" sayeth the Lord"
"Ricke Bless Amen Brother ;)"
"The key to true prosperity!" "This would be an awesome photo if the man was actually enjoying the WORD OF GOD, when I read GOD's WORD it makes me smile, this man looks angry"
"We must continue to seek Him..Thank you Lord!!" "What about the fourth commandment, the majority of the Christian world do not keep the 7th day Sabbath, even though Jesus kept it and proclaims to be Lord of the Sabbath. We ae not saved by keeping the law but most definetly lost by willfully b reaking any one of the commandments."